Shop online for 36 detailing model figure books at discounts up to 58%. Casemate books is ranked #1 out of 8 detailing model figure books manufacturers, followed by AK Interactive, and Motorbooks International. 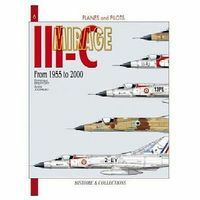 This is the Planes & Pilots 6- Mirage IIIC 1955-00 from Casemate Books. 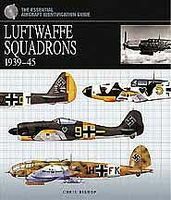 This is the The Essential Aircraft Identification Guide- Luftwaffe Squadrons 1939-45 (Hardback) from Casemate Books. 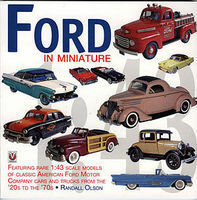 This is the Ford in Miniature by Motorbooks International. This is the WWII Military Vehicles- Transports & Halftracks (Hardback) from Casemate Books. 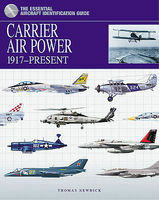 This is the The Essential Aircraft Identification Guide- Carrier Aircraft 1917-Present (Hardback) from Casemate Books. This is the Images of War- German Halftracks at War 1939-45 from Casemate Books. This is the Planes & Pilots 4- Junkers Ju87 1936-45 from Casemate Books. 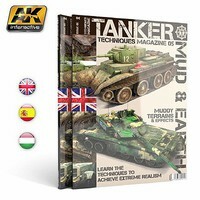 Tanker Magazine Issue 4- Damage Inc. This is the One Six Studios- 1/6 Kitbashing The Spanish Way (Hardback) from Casemate Books. This is the Images of War- Special Forces Vehicles 1940 to Present Day from Casemate Books. This is the Tanks & Armour- Panzerkampfwagen 38(t) from Casemate Books. This is the T34 in Action (Hardback) from Casemate Books. 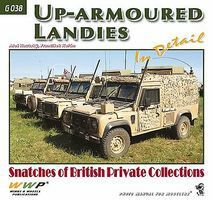 This is the The Essential Vehicle Identification Guide- Small Arms 1945-Present (Hardback) from Casemate Books. This is the Air Collection 4- Aircraft of the Imperial Japanese Navy Land-Based Aviation 1922-45 (I) from Casemate Books. This is the The Essential Vehicle Identification Guide- Waffen SS Divisions 1939-45 (Hardback) from Casemate Books.